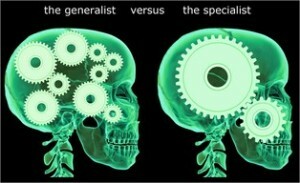 The generalist consulting firms are likely to professionally open many doors. Through this site, I aim to provide practical information regarding strategy consulting. Of course, I also sell my training and my books, but I’m fully independant from any firm. The last thing I want is to see is a candidate heading to consulting without a minimum of rationale. So obviously, we are in economy crisis time, and the consulting industry is among the most profitable that exists. But this is not enough for you to decide to become a consultant. In France, the system of “Classes Préparatoires” is quite unique. It allows institutions to select the best performing students on the academic side, with the proposed following value: give yourself thoroughly for two or three years while your friends at the University are discovering the joys and pangs of freedom and autonomy. In return, you will have access to the best higher education in the country. Invest now for the future in some way. I do not want to discuss the merits of this system; it’s not my objective here. But the example of “Classes Préparatoires” is a good way to illustrate what is a generalist consulting career. A consulting firm strategy or management consulting firm is to the professional world what “Classes Préparatoires” or Ivy League Universities are to the academic world. The value proposal is, indeed, very similar: investing for some years in very condensed, intense, and sometimes harsh jobs, but the output is that you have access to the most formidable career accelerator of the moment. If you have emotional and physical reserves to invest in your career, then strategy consulting may be an excellent choice, the key to a truly boosted career. All students or young professionals do not have a precise idea concerning their career plan. This was my case because I had no experience of the business world after my PhD in Physics. Strategy consulting gave me the opportunity to test a multitude of sectors, functions, enterprises, and conglomerates. After an experience at McKinsey or BCG, you learn much more about your real career aspirations. Consulting acts in revealing, confirming hunches, or on the contrary to inform by the strength of the experience. It can also be that you have had incentives toward a given sector. Everything was clear upstream, but the confrontation of the job realities disappointed you. This happens very often. There again, strategy consulting may give new impetus to your career. Finally, if becoming an entrepreneur is one of your options in the future, the experience of working as a strategy consultant is a real asset in my point of view. First, you will have an ability to perform multiple analyses that will help you quite a bit in your entrepreneurial project. Both upstream to identify needs, formalize a business plan, dialogue with financiers (often they come from the consulting sector, btw…) as when managing your company’s daily activities. Consulting firms also have powerful and responsive professional networks of contacts that may be your prospects in the future.